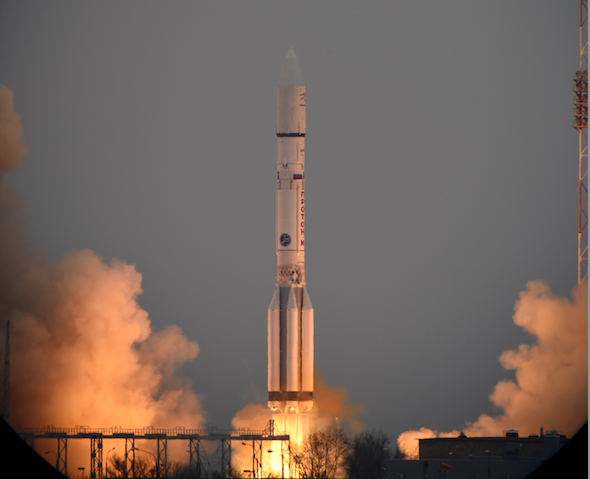 UK communications technology is set to play a key role in the European Space Agency’s ExoMars mission, which launched successfully today from Baikonur Cosmodrome in Kazakhstan. 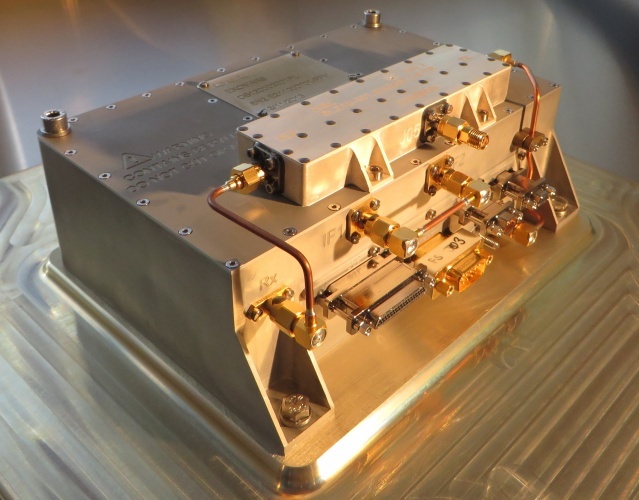 Farnborough-based Qinetiq is providing the UHF transceiver that will enable the project’s Schiaparelli lander to transmit data from the Martian surface to the ExoMars orbiter. According to the company, the device was put through extensive testing and evaluation in advance of the launch. “We simulated landings on Mars in our vacuum chamber, by slowly leaking in gas to replicate the change in pressure when approaching the surface,” said Matthew Cosby, chief communications engineer at Qinetiq. Schiaparelli will separate from the Trace Gas Orbiter (TGO) three days before arrival at the Red Planet in October 2016. If everything goes to plan, the lander will transmit data back to Earth via the mother ship for between two and four days. The TGO’s mission will continue, as it searches for traces of gases including methane that could indicate the presence of organic life. “Historically, data was sent directly from Mars to Earth at speeds similar to the old dial-up internet – several kilobits per second,” said Cosby. Qinetiq’s transceiver is just one of several British instruments involved in the ExoMars mission. Open University scientist Manish Patel is in charge of the TGO’s ozone-mapping ultraviolet (UV) spectrometer instrument, while the rover at the centre of a follow-up mission scheduled for 2018 will also be built in the UK by Airbus Defence and Space. The TGO will remain in orbit and act as the relay for the rover mission.